You are here: Home » Social Media and DAM » Improving DAM In 2017: Should Social Media In DAM Be More Like Facebook? In the context of DAM solutions (at least in their current incarnation as independent applications) I don’t think it will be appealing enough. 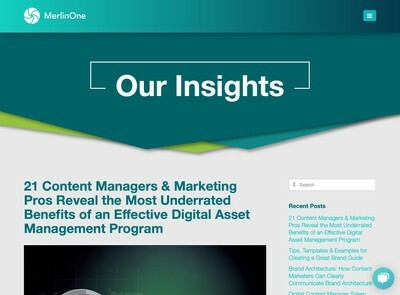 My opinion on this is not fully formed yet, but I believe the objective should be to get users to engage with digital assets as opposed to digital asset management platforms. With that in mind, a more favourable response from users might be obtained by integrating digital assets with a social media platform rather than trying to get DAM platforms to have more attributes that are rely on social media themes. This speaks to the need for the DAM software industry to integrate far more and build far less (especially in respect of user interfaces). A point which I have advanced in the past about Facebook (and Google also, to an extent) is that essentially, they provide tools to allow users to organise and manipulate other people’s digital assets. To illustrate that, they are frequently keen to stress that they are technology company, not a media outlet. Without user ‘content’ (which is really an aggregation of unique digital assets anyway) Facebook would become a worthless shell overnight – as has happened to other older social media platforms that have fallen from user’s favour. The key difference is that the perspective is people-centric (aka ‘social’) rather than more directly about digital assets (as most DAM systems are). Denzil is fundamentally right, however, there is untapped potential to increase engagement with digital assets using social methods, even though there might be debate on how to go about achieving it. As with all the other articles in our series so far, this is well argued piece which does demonstrate that a few people in the DAM market are prepared to behave in a more conscious fashion and consider where all this is going. To date, however, everyone who has participated is involved in developing or marketing DAM technology and services. Considering I get a lot of private emails from end users eager to complain about the state of DAM (and vendors, in particular) not many are demonstrating much willingness to suggest improvements in a public forum (with an option for anonymous posting if they wish). Cynics might suggest that the DAM vendors have a more useful role for some DAM users than they are prepared to admit (and we’re not just talking software here). I am certain all those people who write to me about how awful vendor x,y or z is, however, are busy right now with a whole slew of suggestions for improvements that they wish to share with other DAM News readers. 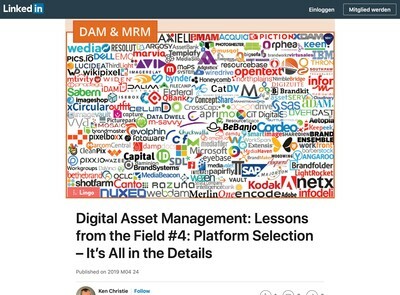 If you are interested in participating in this series, please contact us via the form on the DAM News site, message me personally on LinkedIn or email (the address is on the about page). 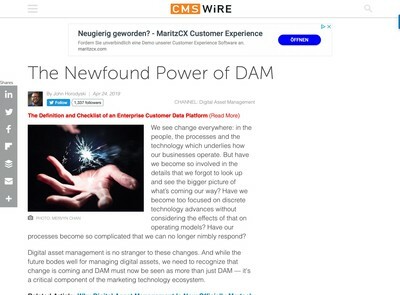 Agreed with you, social is definitely driving the money and DAM solution have to integrate easy plugins to drive the content from DAM to Social with the same way as connected to CMS. Handling assets on FB is just a nightmare even if it is the biggest library of the world, the optimisation of assets are not so well done but if we consider the fact to link the assets to publish on FB it makes more sense especially to maintain the constitency of the Brand and improve the user engagement. Thanks, Frederic. 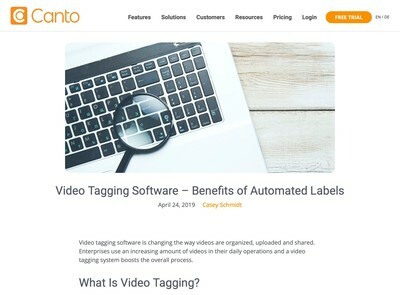 I agree, that connection from the DAM to social media platforms could be a critical development for many businesses.